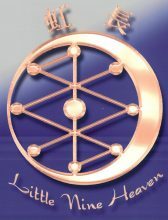 Little Nine Heaven (“us”, “we”, or “our”) operates the Little Nine Heaven website (the “Service”). We accept payments through PayPal and Stripe. When processing payments, some of your data will be passed to PayPal/Stripe, including information required to process or support the payment, such as the purchase total and billing information. While we currently do not share your data with any parties, we reserve the right to sell or transfer the Littlenineheaven.com site in the future to another party or entity which may include your name, email, purchases and any other data we may have collected.